How to register in www.coinxpro.com? Step 1: Go to http://coinxpro.com and click on Sign up. Step 2: Fill in the details and register by clicking on sign up. 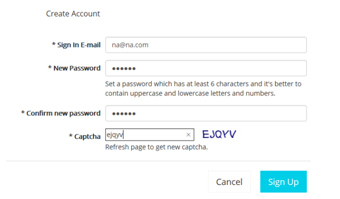 Step 3: Verify your email. 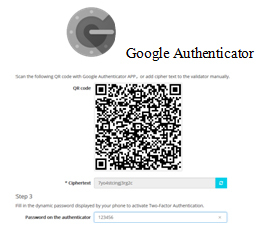 Step 4: Enable Two Factor Authenticator. You have completed the registration. Step 1: Click on Funds, you will see a list of coins you can trade with. Step 2: Click on deposit on which ever cryptocurrency you would like to deposit. Step 4: Once the block chain is initiated, check for confirmation in deposit History below, wait for some time for the block chain to complete and see your coins deposited to your account. 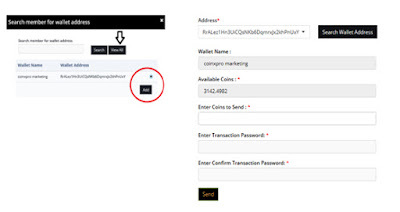 Step 4: Open your Realpoints account, on the left side bottom click on RPT wallet and then on Manage wallet address. 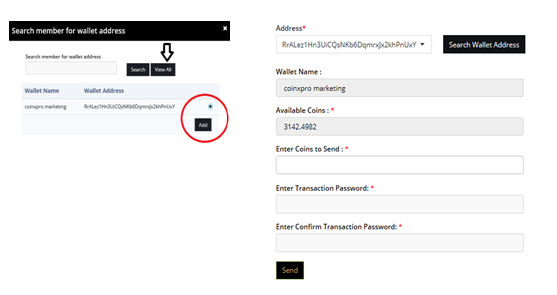 Step 5: Enter wallet name (you can put any name that you remember), paste the address below (make sure that you put the correct address) and click on save. Step 6: Click on Accounts, Coins Account. then click on send coins to wallet. Step 7: Select your wallet by clicking on Search wallet address, view all, select and add. Your wallet name will appear, enter how many coins you would like to send, put your transaction password and send. Your coins will be sent in 24 hours. Step 8: Once the block chain is initiated, check for confirmation in deposit History below, wait for some time for the block chain to complete and see your coins deposited to your account. India here is something for you.